Often we purchase items not necessarily for the product inside but for the packaging. A sample of these are the packages for the “Lycka Till” line of chocolate from Morozoff confectioner of Kobe, Japan. Morozoff is well known in Japan as the company that first introduced Valentines Day to the nation. Really liking the Scandinavian designs on these products so we just had to post. You can learn more about the company on their website, Facebook and Instagram. 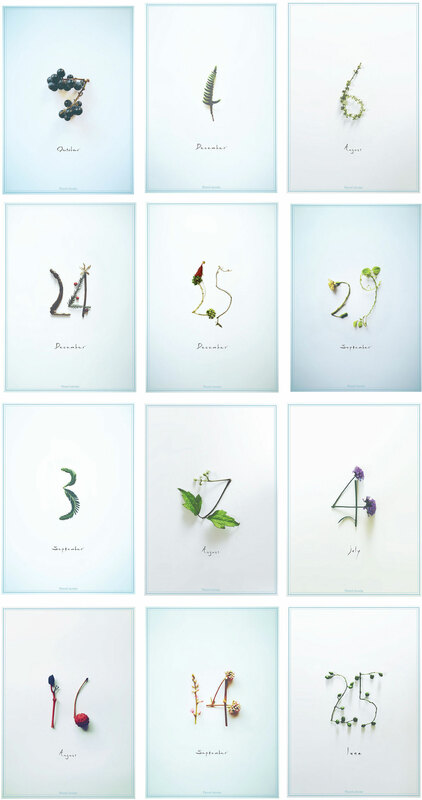 Admiring this botanical calendar created by Japanese painter, Tetsuhiro Wakabayashi, a graduate of Kanazawa College of Art and Commerce Design. He created this calendar with the thought that “the beginning of an unforgettable day should be somewhat gentle”. There are 365 images none of which are the same. You can view more of his work on his website, Tumblr, Facebook and Behance. Some of his original paintings are available in his Etsy shop. Images: Courtesy of Tesuhiro Wakabayashi.